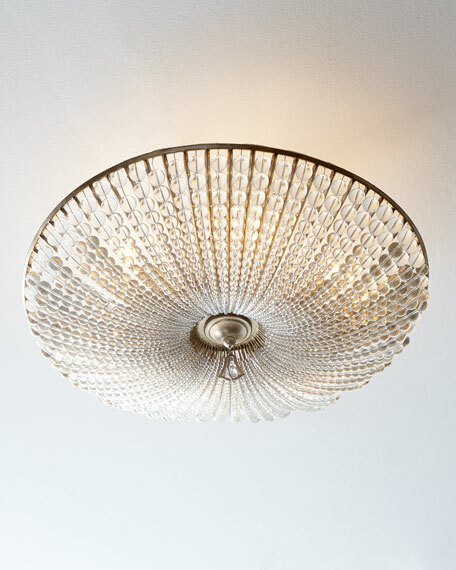 Handcrafted transitional semi-flush ceiling fixture. Mounts to ceiling with a stem or rod; usually hangs 4" to 8" below the surface of the ceiling. 25"Dia. x 12"T with 5"Dia. ceiling canopy. Weight, 13 lbs. Boxed weight, approximately 31.2 lbs.